Work out anywhere, anytime with Anatomy of Fitness: Weight-Free Exercises. 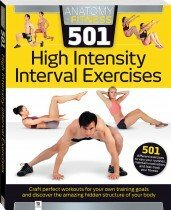 This book shows you how to effectively train your entire body without the use of expensive gym equipment or memberships. 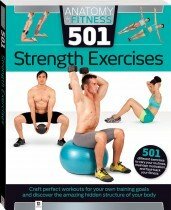 In addition to a wide variety of resistance-training exercises, this book contains routines that focus on stretching, mobility, balance and cardio workouts, using just the weight of your body. 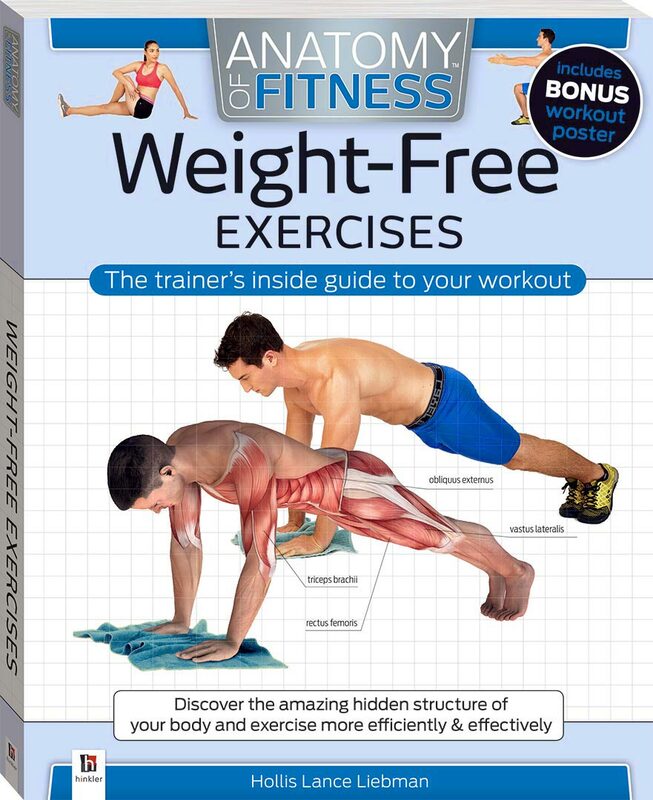 Anatomy of Fitness: Weight-Free Exercises includes: a comprehensive introduction to weight-free exercises; step-by-step instructions for over 60 balance, body-weight, and cardio exercises and a complete program of weight-free workouts, so anyone can tailor a program to suit their fitness requirements. This user-friendly 160-page book features: detailed, comprehensively labelled anatomical illustrations of the muscles used in each exercise; clear guidance on the correct form and what to avoid to ensure you’ll be working effectively and safely; variations on many exercises to simplify or increase the challenge; a complete glossary of training terms; a bonus user-friendly poster featuring anatomical diagrams and an easy-to-follow workout sequence. Improve your physique, workout anywhere you like and feel great with Anatomy of Fitness: Weight-Free Exercises!